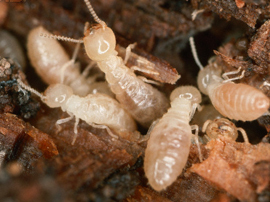 Drywood Termites: Drywood termites get their name because they live only in dry wood and require no connection to soil. 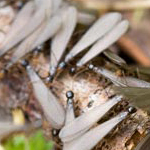 Drywood termites are often introduced to a structure during their swarming season, which in California, can be a couple times a year or more, depending on dry weather cycles. 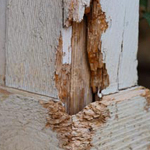 These termites enter structures through cracks, knotholes or joints in the wood. They also bore into the wood, weakening structures from the outside. 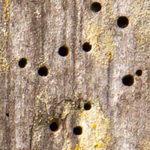 These termites can be identified by their smooth, clean holes in wood structures and “kick out” holes, where small piles of wood shavings collect. Drywood termites are best treated with Termidor, Foam treatments, Fumigation, Borate and Timbor. We also recommend chemical free Heat treatments, which can be localized and applied as a spot treatment. 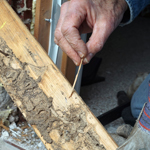 Learn more about drywood termites. Subterranean Termites: Subterranean termites are the most widespread and destructive termite found in the US. These termites construct tunnels through soil to wood buried in the ground, or wood that is in direct contact with the ground. 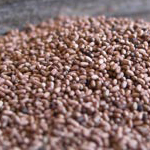 They require the soil to be moist or to have a source of water near by. They cause massive damage by weakening structural foundations and in some cases, can require a home or business owner to rebuild the structure or relay a slab. 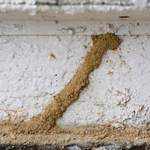 Subterranean termites are best treated with Altriset, Termidor, foam treatments and soil treatments. 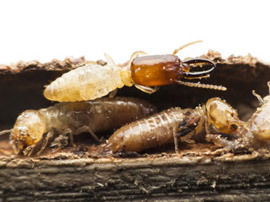 Learn more about subterranean termites.